Revised and expanded 2nd edition. Wheaton, Illinois: Quest Books (Theosophical Publishing House), December, 2000. Hardcover, 451 pp. Includes 44 photographs & drawings, index, source references, and further suggested reading. Here for the first time is the story of H. P. Blavatsky's life in the words of those who knew her. 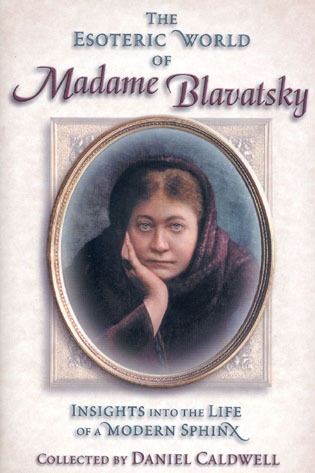 These personal reminiscences of Madame Blavatsky by more than seventy of her contemporaries give a vivid portrayal of one of the most extraordinary and controversial figures of modern times. The narratives include (1) striking word portraits of HPB; (2) reminiscences giving insight into HPB's character; (3) incidents that are sometimes humorous and witty; (4) accounts of psychic phenomena performed by Madame Blavatsky; and (5) descriptions of encounters with HPB's Masters. Here is a sourcebook of rare original material on Madame Blavatsky illustrated with forty-four photographs and drawings. Anyone interested in H.P. Blavatsky's life and work will want to have a copy of this hardbound volume for their personal library. Click HERE to order book from Amazon.com. Click HERE to see abridged edition of this book. "...No other book you could possibly read will give you the same sense as this one that you have known H. P. Blavatsky, the person, as well as she can be known more than a century after her passing from this world --- not alone HPB, the writer, the Theosophist, or the controversial figure, but also HPB, the unique individual in the midst of her travels, her ups and downs, her daily life." "You will see her not as she has been interpreted by biographers, often laboring under agenda and presuppositions of their own, but as she was perceived by those who encountered her face to face in her own time. Indeed, of them, even those who knew her very well and admired her, like Henry Steel Olcott, inevitably saw her through one set of eyes; in this book we see her through many eyes looking at the mysterious woman from many angles." "The diversity of views in Caldwell's work is the result of a carefully gathered collection of accounts of Madame Blavatsky by numerous hands...assisted by authoritative and helpful introductions to chapters by the editor, which put the narratives in biographical and historical context. Most of the entries are sympathetic; a scattering by observers less well impressed by the enigmatic Russian woman, such as Moncure Conway and Emma Coulomb, properly balance the collection." "...this...[is] an irresistible book to pick up for a fascinated glance --- and then to get lost in for hours. My only warning: The Esoteric World of Madame Blavatsky will not solve the mystery of who or what she was. That riddle will only deepen as you here learn more about her as she appeared to her contemporaries. But this flight into their world, and hers, is well worth the cost of the ticket." Robert Ellwood, Quest Magazine Nov-Dec 2001, p. 236. "Caldwell has gathered these reminiscences by her relatives, acquaintances, friends, enemies, and co-workers, giving readers a look at Helena Blavatskys life (1831-91), along with a glimpse into her enigmatic personality. Some New Age devotees may recognize Blavatsky as the 19th-century Russian who traveled the world and was attracted to the unexplored mysteries in cosmic and human nature. . . . The story of her life is easy to follow, with the variety of memories well blended." Library Journal, April 15, 2001, p. 99. "...This book...[is] an extremely useful collection of primary documents about Blavatsky. There is nothing else in the literature about Theosophy's history quite like it. The Esoteric World of Madame Blavatsky will undoubtedly be a standard work in Blavatskian bibliographies for many years to come. 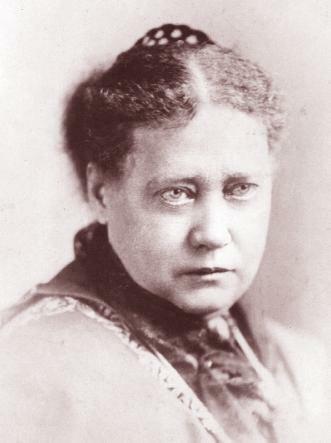 Not only will it provide the sources that future researchers need for their own work on Blavatsky....it will give the general reader a vivid sense of Blavatsky as others knew and experienced her....Caldwell helps us to appreciate...what this first generation of Theosophists appreciated: the radical nature of Blavatsky's affect on those around her...." W. Michael Ashcraft, Theosophical History, July 2002, p. 264. "In The Esoteric World Of Madame Blavatsky . . . Daniel Caldwell has collected a wealth of biographical information on one of the most influential metaphysical thinkers and writers of her day. Arranged in chronological order, we are treated to Madame Blavatsky's travels beginning in Russia and spanning the entire world including her years in New York, and sojourns to London, Bombay, Allahabad, Sri Lanka, Lahore, Adyar, France, Germany, and Italy. A 'must' for students of Madame Blavatsky's writings and metaphysics, Caldwell's informative text is wonderfully enhanced with a number of illustrations and photographs." Internet Bookwatch (Midwest Book Review), April 2001.